A wash of color forms subtle, blended tones that are overlaid by vibrant hues and pronounced shapes. 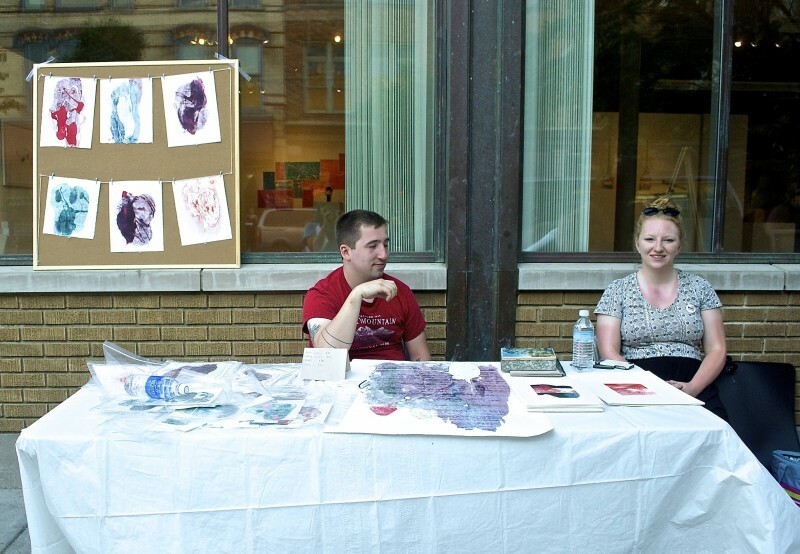 Seeing Taylor Bultema’s prints at The Market on First Fridays in June compelled me to ask her about the meaning behind her work, “My work is mainly inspired by process and memory. 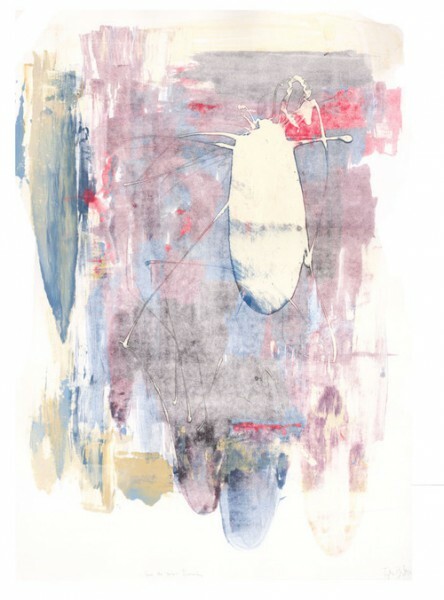 I choose different color schemes and forms based on certain memories I have and the feelings they provoke.” The watery hues seep and fade into one another making up complex, organic shapes. Thinking about these compositions in terms of emotion tied to memory causes the colors to appear more vibrant and expressive. “A lot of my decisions about the work are impulsive, and dependent on the moment. I like the combination of old and new, past and present.” she says. 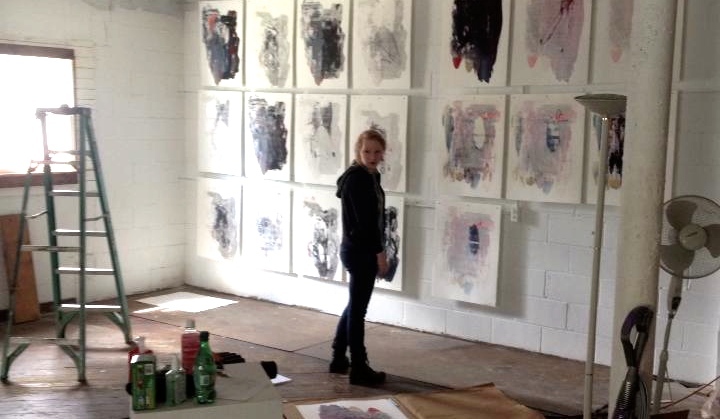 In addition to her abstract monotypes, Taylor’s art practice is multifaceted. Her undergraduate program at the University of Michigan was interdisciplinary and encouraged their students to experiment with a variety of media. Mold-making, ceramics, drawing, painting, and a multitude of print media are all ways Taylor creates artwork. She focuses primarily on printmaking because, “it combines my love of 2D and 3D. The thickness of the paper and inks and ability to layer makes it feel sculptural, but you're still producing a flat image.” Taylor expressed the challenges for someone who works in such a wide range of media, saying there is pressure amongst artists to only work in one style. Even though fitting into a specific creative community can be difficult, the broad structure of her education helped Taylor to be skilled in a lot of areas. Her ability to experiment and create meaningful work has resulted in an extensive portfolio which is available to view online and in person on August 1st. What band/artist are you really into right now? As we count down to The Market on First Fridays in August, look out for a new article every Wednesday! Learn about a participating vendor each week in July in the Vendor Spotlight Series. If you missed it, check out last weeks article featuring Rose Beerhorst!